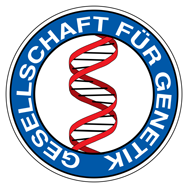 Welcome to German Genetics Society - gfgenetik1s Jimdo-Page! The genetics of heredity as originally dealt with the question of how certain features (genes, genes) to the next generation will be passed on. A special dynamic wins the genetics today in that it attempts to explain the differences in the genetic makeup of different organisms functionally (functional genomics). Thus, the genetic influences and their methodological approaches today, many other biological disciplines (such as cell biology, developmental biology or molecular biology). As a universal biological discipline is found in all organisms use classes. The Genetics Society (GfG) is a group of scientists in universities and other research institutions, but also in industry and government agencies that deal with various aspects of genetics. GfG therefore promotes scientific efforts in the whole field of genetics. Serves primarily the organization of meetings for scientific discussions.